Wow your guests with our silver candelabras. 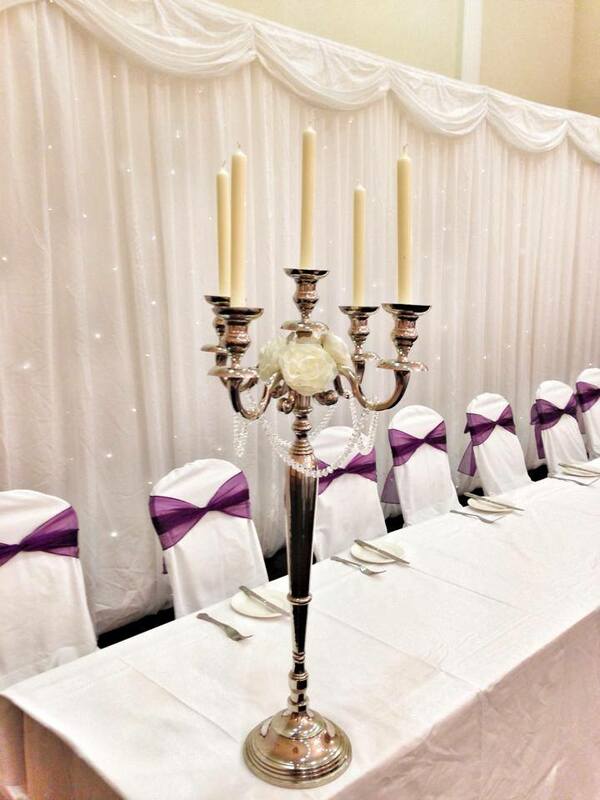 At 80cm tall our 5 arm silver candelabras will make a sophisticated centrepiece for your tables. The height of our candelabras allows for sociable conversation across a dinner table. 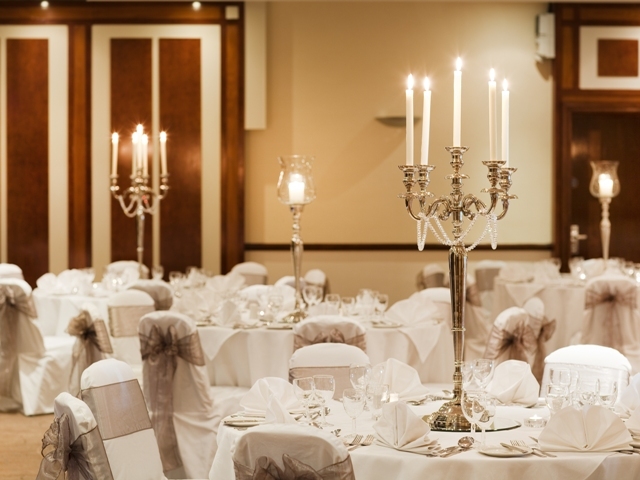 The candelabra hire price includes the candelabra and 5 white candles with approx 8 hours burning time or alternatively artificial candles can be provided. Each candelabra can be dressed with crystal pendants for that added glamour or with flowers for a more traditional look. anti fungal and parasites. We can also provide you with round mirrors for your table centres, scatter crystals and frosted tea light holders with 8 hour candles. Wedding candelabra with crystal swags and rosesWe also offer alternative table centerpieces, please view our 80cm tall hurricane lamps available in sparkling crystal and glass.